The story of a strong-willed man, Nahapet, who lost his family during the 1915 genocide, is an eternal story of resurrection. In 1942-45, Henrik Malyan has been a draftsman, contractor’s steward at a plant in Tbilisi. In 1951, he graduated from the Directing Department of Yerevan Institute of Art and Theatre. In 1953, Malyan graduated from the Higher Directing Courses at Moscow Theatre Institute. In 1951-54, he has been the director of different Armenian theatres. 1954-88, Henrik Malyan worked at Hayfilm Studio. Fellows of a Music Group (Co-dir. 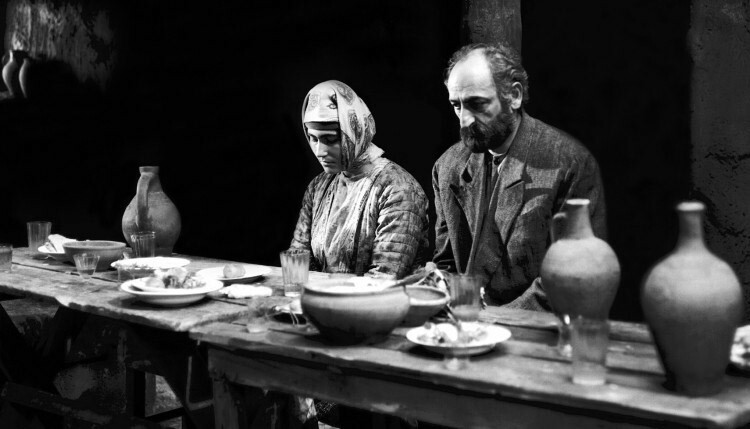 : Henrik Margaryan, 1960), Road to the Stage (Co-dir. : Levon Isahakyan, 1963), Monsieur Jacques and Others (segment A Sham Informer; 1964), Triangle (1967), We and Our Mountains (1969), Hayrik (1972), Nahapet (1977), A Piece of Sky (1980), A Drop of Honey (1982).